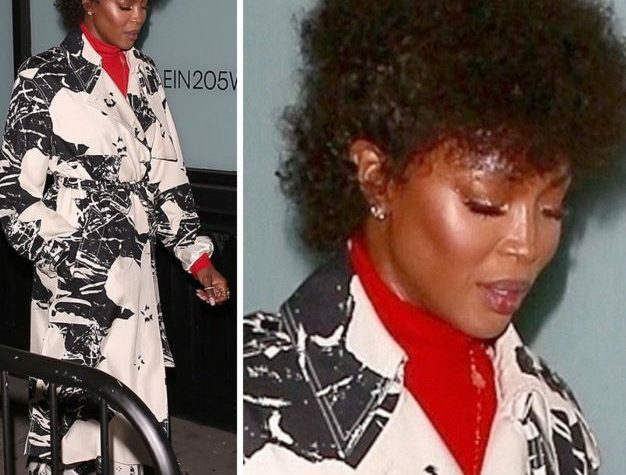 Supermodel and TV personality Naomi Campbell was spotted at a public event without a wig or weave a she rocks her natural hair. Naomi who has battled hairline issues for years has got things fixed a couple of years back, when she got a very intensive hairline reconstruction surgery. She however decided to go “natural” at last night’s Calvin Klein event and her hair looked GREAT.